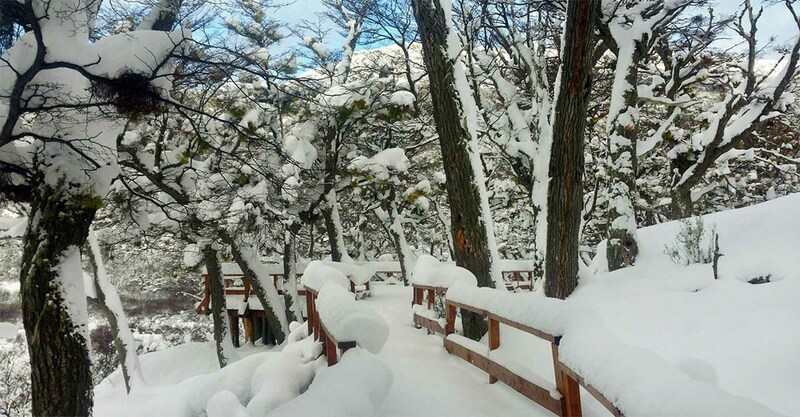 Prepare for a journey to the Ends of the Earth, as we embark on an unforgettable tour to Tierra del Fuego National Park, located in Ushuaia, the southernmost city in the world! With 63,000 hectares of land this, National Park is larger than the city of Chicago! You’ll encounter some of the most pristine and beautiful scenery nature has to offer, while experiencing the uniquely remote feeling of truly being... at the ends of the Earth. Magellan was the first European explorer to navigate these southern seas, in 1520. As he sailed along the coast, he saw dozens of campfires glowing on the shore. The fires, used by the Yamana tribes to keep warm, gave birth to the region’s name: Tierra del Fuego - "The Land of Fire". 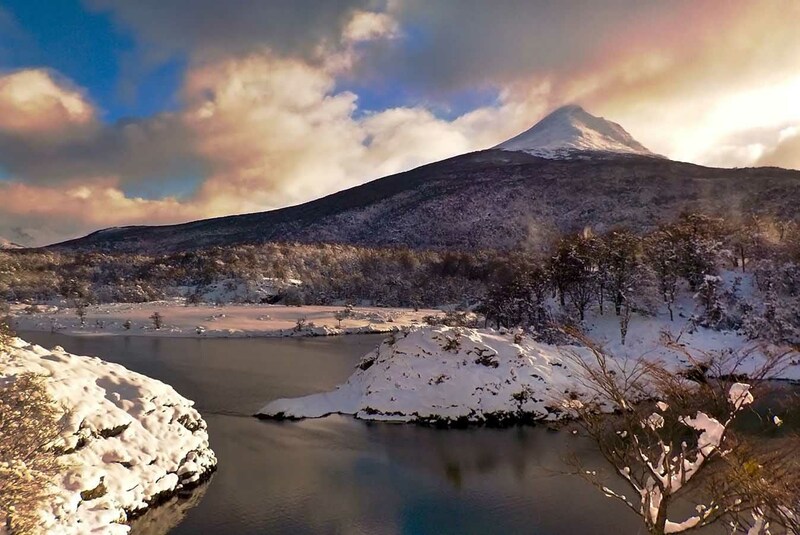 Our expert guides will help you discover the hidden wonders of Tierra del Fuego National Park; including its enchanting lakes, forests, lush vegetation, and wildlife; all the while being surrounded by the peaceful serenity of nature. We’ll trek the coastal path (undoubtedly one of the most beautiful areas in the entire National Park), and then embark on a canoeing expedition downriver and across crystal clear streams of water, while experiencing the calming breeze and the breathtaking landscape surrounding us. Our canoeing journey concludes as we arrive at Lapataia Bay, where Argentina’s National Route #3 ends. This road is the last (and southernmost) stretch of the Pan-American Highway, which runs all the way to Alaska, in a network of roads that connect more than 15 countries! According to the Guinness Book of World Records, the Pan-American Highway is the world’s longest "motorable road". The distance from that spot to Alaska is a whopping 11,090 miles (17,745 kilometers). 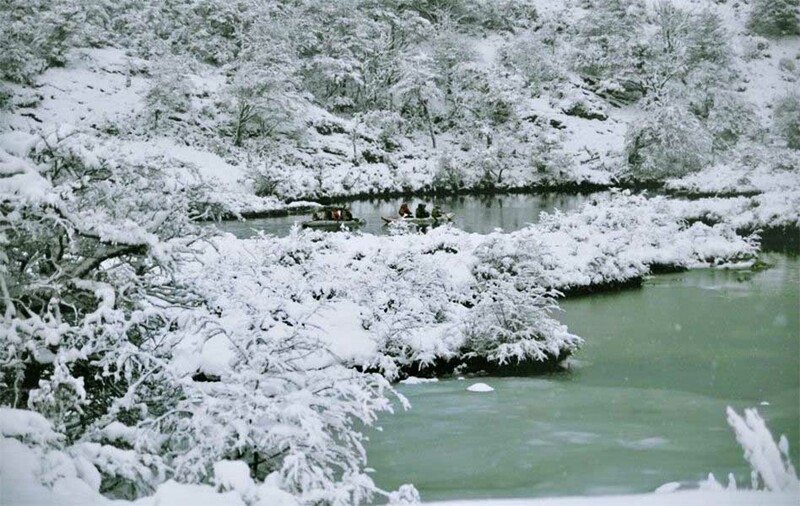 The tour unfolds as follows: in the morning we’ll start with a 25-minute ride to Tierra del Fuego National Park. We’ll start our trek in the park’s coastal path, where we’ll enjoy the various species of trees and plants, as well as observe different species of marine and coastal birds. The trek is approximately 4.5 mile long (7 kilometers) and lasts between 3 and 3 and half hours, depending on the group’s pace. Right before finishing our trek, we’ll have the chance to enjoy a beautiful view of the "Cordillera Darwin" (Darwin mountain range), named after naturalist Charles Darwin. In 2011 French military mountaineers made history by becoming the first climbers to fully cross the Cordillera Darwin, conquering one of the most remote and uncompromising mountain regions in the world. 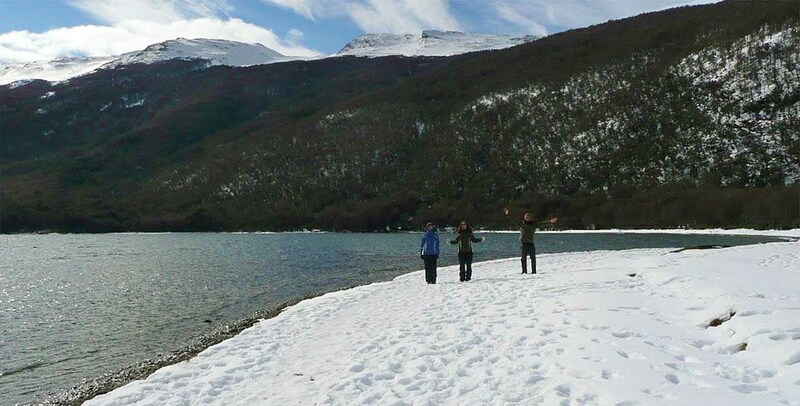 After the trek, we’ll be taken to Lake Roca, a 6 mile (9.6 kilometers) long lake, where we’ll behold a view of some of the park’s mountains, while relaxing and enjoying some lunch accompanied by Patagonian wine, so as to refuel and refresh yourself! After lunch, we’ll get ready for our canoe trip. Our guide will give us a short informative talk on canoeing. Once we’re ready to go, we’ll hop into our canoe, and set off downriver! If you haven’t been canoeing before, that won’t be a problem, as this activity was designed and planned for beginners with no canoeing experience whatsoever. We’ll enjoy a peaceful journey down the Lapataia River, while taking in the natural beauty of our surroundings. The Lapataia River is a quiet and calm body of water; the first part of the canoeing journey is easy. As we float down the crystal clear waters, our canoeing adventure will continue by the Ovando River before reaching "Laguna Verde" (Green Lagoon). After about 45 minutes, and once in Lapataia bay, we may have the chance to observe some of the National Park’s wildlife; such as petrels, albatrosses, and steamer ducks. After a fulfilling journey at the ends of the Earth, the tour wraps up with a relaxing ride back to our hotel, and a camera filled with freshly-created memories of our trekking and canoeing adventure at the Ends of the Earth! Difficulty: moderate for the hiking part of the journey, easy for the canoeing part. For travelers looking for an easy hiking experience, we offer an easy level hiking trail for this tour as well. 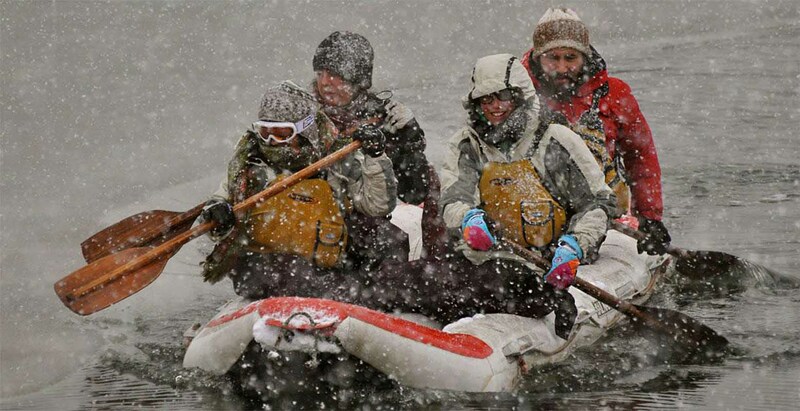 This activity was designed for beginners with no canoeing experience at all. Canoes have a capacity for 4 to 5 travelers and this part of the tour is easy to complete. The minimum age required for this tour is 5 years old. Duration: full day (approximately 6 hours and a half from the time you leave your hotel until you return). Guide: group guide. The maximum group size for this tour is approximately 15 travelers. Includes: lunch with non-alcoholic beverages & wine. Entrance ticket to Tierra del Fuego National Park.